Marcel Vogel was born in San Francisco. As a child he suffered from respiratory difficulties and at the age of six had a near death experience -- he was officially pronounced dead of double lobar pneumonia. So profound was the impact of this experience that it was very difficult for the young Marcel to return to the so called “normalcy” of childhood. In fact, he never did. He claimed that at this time he experienced a light and a sense of love and well being that was over-whelming. Physical plane life seemed pale in comparison leaving him, even at such a young age, to question the meaning of life. 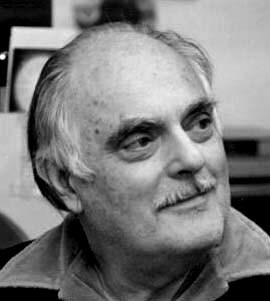 Marcel Joseph Vogel (1917 - 1991) was a research scientist for IBM’s San Jose facility for 27 years. He received numerous patents for his inventions during this time. Among these was the magnetic coating for the 24” hard disc drive systems still in use. His areas of expertise were phosphor technology, liquid crystal systems, luminescence, and magnetics. Marcel understood that having quartz crystal in watches, clocks and electronics made the electromagnetics of these devices function at a higher rate of efficiency. He then thought if quartz crystal can help the electromagnetics of these devices, then it could help the electromagnetics in the human body. After all, the human body sends electric impulses from the heart, just as an EKG (electrocardiograph) can verify the measurement of this electrical activity in the heart and the recording of such activity as a visual trace (on paper or on an oscilloscope screen), using electrodes placed on the skin of the limbs and chest. This information a along with the pioneering work Marcel did in the 1970’s in man-plant communication experiments led him to the study of quartz crystals and the creation of a faceted crystal that is now known as the Vogel-cut® crystal. The Vogel-cut® crystal is an instrument that serves to store, amplify, convert, and cohere subtle energies. Marcel trained therapists in the art of healing the human physical, mental, emotional bodies with the Vogel-cut® crystals. As happened in his study of luminescence, he found the published technical literature sorely lacking. One morning, in 1974, he awoke with a pattern in his mind’s eye: the Tree of Life as shown in the Kabbalistic teachings. This was a teaching and a pattern with which Marcel was unfamiliar. At the time he saw only the pattern of a rectangle with a triangle at each termination. For an entire year he spent most of his lunch hours at the IBM glass shop attempting to facet raw quartz into this configuration. As he found out more about the geometry of the Tree of Life he was able to grind the quartz with greater specificity into the shape suggested by his vision. Always listening to his intuition, Marcel saw a connection between water, the human body, and the Kabbalah. Marcel took the shape of the “Tree of Life” as a structural representation of the human. Using this form as a reference or witness, Marcel himself cut and polished his first four-sided, double terminated healing crystal. Various other shapes were also tried: single terminated, double terminated, four-sided, six-sided, six-sided with four-sided terminations, eight-sided with four-sided terminations and so on. From continual experimentation came the first fundamental instrument for storing, amplifying, transferring and cohering the energies of the bodymind of an individual: a four sided quartz crystal with pyramidal terminations. One tip was more acute than the other. The more acute termination is called the “firing tip” as this is the end of the crystal from which the coherent field is emitted. The faceted crystal was a three dimensional representation of the Tree of Life. These crystals have come to be known as Vogel-cut crystals. The crystal design developed further until he next had a 6 sided, 8 sided, and then a 13 sided crystal. He studied and experimented with these crystals, which he found could act as lasers instantaneously cutting out imperfections in the subtle energy body of an individual, allowing natural and rapid healing to occur. During the initial years of his work with crystals, Marcel developed a protocol for removing unwanted vibrations or thoughtforms from an individual in distress. He found that the crystal could act almost as an energetic scalpel in what amounted to an energetic or etheric surgery. Over the years he developed various methods for proximate, remote, and self healing using the Vogel-cut crystals. One morning, at IBM, co-worker Chuck Mignosa approached Marcel with complaints of back pain from a weekend of skiing. Prompted by intuition he took the crystal from his lab coat pocket, looked at it and pulsed his breath. This sent a charge through the crystal, a crystal that happened to be pointing at his friend Chuck. Immediately Mignosa’s head went back and he entered into an altered state of consciousness as he fell to he floor. As he helped his friend up, Marcel thought that this was total nonsense and wanted nothing to do with it. Chuck, however, was thankful that his back pain was gone. 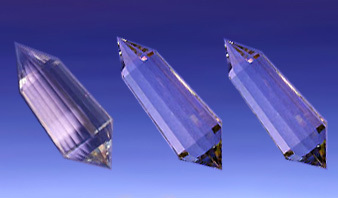 Mordechai David Naseck is a trained facilitator of healing with the Vogel-cut® crystals. A physicist that worked with Marcel Vogel and two of Marcel’s crystal cutters trained Mordechai David in the art of healing. Healing sessions, trainings and consultations for the purchase of Vogel crystals are all services that are provided by Mordechai David. A word about Vogel Crystals... from Marcel's crystal cutter whose Vogel crystals Mordechai David recommends. I am continually amused (and sometimes appalled) at what is passing for Vogel crystals in the marketplace today. It seems today that any cut crystal with two points is called a "Vogel", whether it is cut in Brazil or Asia. Even those who promote the Vogel name widely in association with their products, I'm sorry to say, are frequently missing the mark and they are unfortunately misinforming the public about the true nature of the Vogel crystal as developed by Marcel Vogel. The angles for the crystal tips they use, and the information about the origin and usage of certain of Marcel's designs are inaccurate, raising some serious integrity questions in my mind. I have been cutting Vogel crystals since 1985. There is no one that I am aware of that knows the cutting of Vogel crystals better than I do. The specific angles and standards for cutting these crystals were established by Marcel (and myself) in the creation of these pieces. A large percentage of the "Vogels" you see in the marketplace are machine cut and imported from Brazil. They are cut from mostly inferior materials. They are not cut to the same angles that Marcel used (the front tip in particular), and without the same prayerful intention with which we cut ours. While they will work to some degree, being made of quartz, we have been told repeatedly by experienced, professional healers that they do not even come close to ours in terms of cutting quality, power, and energy. We hope you will consider these facts when you decide where you would purchase your next crystal. Our integrity, quality, and intention is assured - you have my word on it.